 FNUSA submitted comments today in response to a request for feedback from the Department of Health and Human Services’ Office of Trafficking in Persons (OTIP). The agency is attempting to revise the form that must be submitted for children who were potentially trafficked to obtain services from the federal government. FNUSA is committed to ensuring all survivors of trafficking have access to the support and services they need to move beyond the exploitation and abuse they endured, especially children. We commend the department for soliciting feedback and look forward to a productive and ongoing dialog about how best to serve our most vulnerable populations. You can read our full comments here.